Crossover Media music promotion works a diverse linuep of well known and developing artists to terrestrial radio and online media. 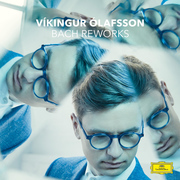 Following his critically-acclaimed Johann Sebastian Bach album, pianist Vikingur Ólafsson releases a double LP of Bach Reworks, featuring new arrangements of his Bach transcriptions from electronic artists such as Valgeir Sigurðsson and Ben Frost (Prelude BWV 855a), Peter Gregson (Above and Below, B Minor), and Ryuichi Sakamoto (BWV 974 – II Adagio – Rework). 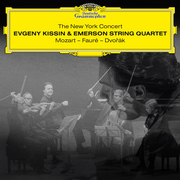 Grammy-winning musicians Evgeny Kissin and the Emerson String Quartet join forces for their debut collaborative album, captured live at a sold out Carnegie Hall concert, to be released on Deutsche Grammophon this Friday, April 12. The first track off of the album, the third movement from Dvořák's Piano Quintet No. 2 in A Major op. 81, is available now. Capturing a rare performance of one of the world's most acclaimed pianists as a chamber musician, this live album is a new gem in DG's vast catalog. The rehersal and preparation process for the recording created space for a true meeting of minds, allowing Kissin and the Emersons to preserve their individual characteristics while revealing qualities unique to their collaboration. Ideas tested in the rehearsal room were subsequently forged in the heat of performance, unleashing elemental shifts between Classical heroism and Romantic introspection, and drawing out points of dramatic tension and release. Everything flowed, nothing became fixed as Kissin and the Emersons moved from one concert to the next. Last year's performances "were the highlights of [their] season," notes ESQ's Eugene Drucker. Here is a Schubert recording for our times, made in a small hall in Bonn on a historically appropriate instrument intended for an intimate setting. An interpretation of subtle nuances, fine shadings and regional flavors, emphasizing the cultural framework that defined this music. 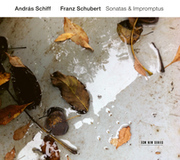 When András Schiff's first double album with late piano works by Franz Schubert was released on ECM New Series in 2015, critics and audiences paid particular attention to the pianist's choice of a fortepiano built by Franz Brodmann in 1820. In the liner notes, Schiff explained his conversion "from Saul to Paul", advocating a historically informed style of playing on instruments used in the classical era and describing the tonal characteristics of the Brodmann piano. The timbre of the instrument, he reasoned, reflected "a typically Viennese quality, gentle, melancholy, and song-like". And since Schubert, like no other composer, used "the soft notes, the quietest sounds" to touch our hearts, the excellently preserved Brodmann with its four pedals serves these "quietest sounds" particularly well. 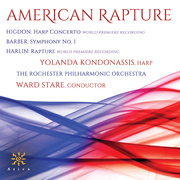 Azica Records will release American Rapture featuring harpist Yolanda Kondonassis and the Rochester Philharmonic Orchestra, conducted by Music Director Ward Stare. 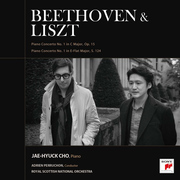 This album includes the world premiere recording of Pulitzer Prize-winner Jennifer Higdon's Harp Concerto, written for and dedicated to Yolanda Kondonassis; Samuel Barber's Symphony No. 1 in One Movement, Op. 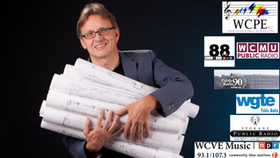 9; and the world premiere recording of Patrick Harlin's Rapture. The album is designed to highlight three generations of American composition and, as defined by Harlin in the context of his work, to depict rapture not as a religious event, but as an experience of extreme human emotion. 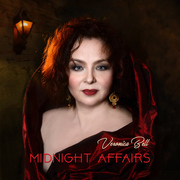 Classical vocalist Veronica Bell challenges traditions in her new crossover album Midnight Affairs. Operatically trained, Russian-American soprano Veronica Bell is not afraid of raising a few eyebrows. She proudly wears the title Antichrist of Opera given to her for recording Va Pensiero chorus from Verdi's Nabucco as a solo piece accompanied by ... yes, a metal band. 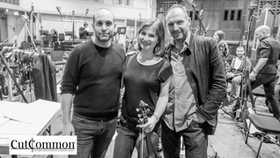 In her new album she takes full advantage of the wide-open field of classical crossover genre. Not only she transforms solo arias into duets and trios and instrumental music into vocal, she also combines separately written pieces into one and re-works orchestrations to fit her vision. She has a full three-octave range and a big personality, and she is not afraid to use either. Everything she creates exudes passion, and it's contagious and convincing. Demarre McGill, principal flute of the Seattle Symphony Orchestra, and brother Anthony McGill, principal clarinet of the New York Philharmonic, return to their early training ground, the Chicago Youth Symphony Orchestras, for Winged Creatures, a homecoming album of duo concertos featuring world-premiere recordings of works by Michael Abels and Joel Puckett written expressly for the McGills and the CYSO's Symphony Orchestra. Amanda Bloom is the publicity and communications manager at Crossover Media. A Brooklyn resident, Amanda is also an active NYC jazz vocalist who draws musical inspiration from a wide range of influences. Crossover Media's projects which encompass multiple genres has been a great fit for her both personally and professionally. Amanda earned a BM in jazz vocal performance from the Peabody Institute of Music at Johns Hopkins University under the guidance of Jay Clayton & Gary Thomas. 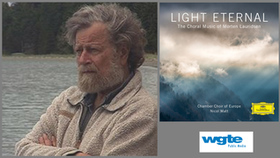 Vicky Thiel has been influenced by music since birth. Her grandmother was a dancer and her grandfather was a drummer. Her mother - Melanie Thiel managed WNTI Radio in Hackettstown NJ for 21 years, and those years proved very valuable for Vicky's later work at Crossover Media. She recalls many days of volunteer work at music festivals and events, as well as work in the radio studio with mom. Before college, Vicky was a member of the award winning music program at Pennsylvania's prestigious, Bangor High School. Vicky studied piccolo and played in the school 'marching band' for 4 years and flute in 'concert band' for 8. Following in her grandmother's footsteps, literally, Vicky not only plays music but also dances to it, and has been a clog dancer for over a decade and is part of a local popular group called The Blue Ribbon Cloggers. Vicky has been working at Crossover Media for almost 10 years and is an integral part of our team. She likes to play ukulele in her free time. Michaela Coppola began studying piano at age three and guitar at age five. 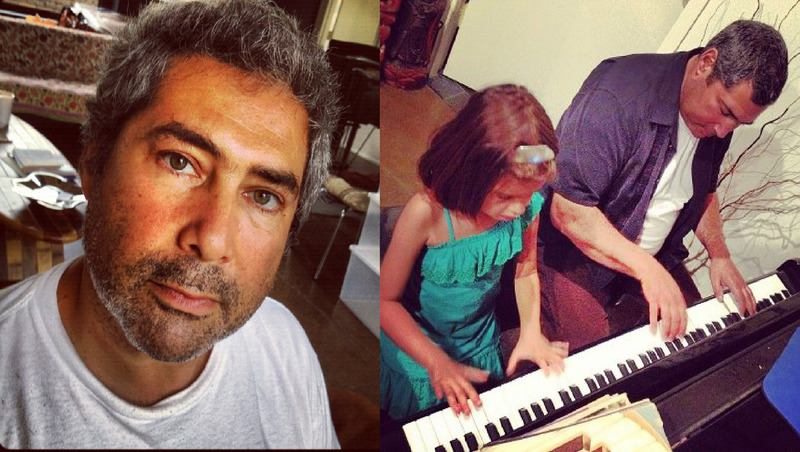 She performed for the first time at age three and a half; singing at an outdoor festival accompanied by her Dad and accomplished Jazz Guitarist, Michael Coppola. Equipped with perfect pitch and an incredible musical memory, Michaela began improvising blues on both piano and guitar at age 5 and performed at many local events. At age thirteen, Michaela became the youngest performing member of the "Fairfield County Jazz Guild", where she developed her Jazz improvisational skills on the stage of local Jazz Club, Two Boots in Bridgeport, Connecticut. During this time, she mainly played with college music majors and made some guest appearances with local professional Jazz artists. For the past three years, Michaela has been performing semi-professionally with her Dad at many events such as the Montreal Jazz Festival in Montreal, Canada; The Chet Atkins Festival in Nashville, Tennessee and Connecticut's Levitt Pavilion and other venues. 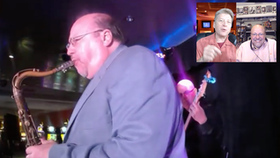 She is a regular performing artist in the house band of the monthly Jazz Jam at Café Nine in New Haven, Connecticut as well as other local Connecticut clubs and restaurants. She was featured at Bridgeport's Discovery Museum's Guitar Series with Master Jazz Guitarist, Gene Bertoncini and has also performed with Jazz Piano Legend, Don Trenner and many others. 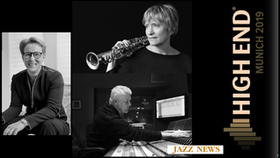 Her thirst for knowledge brought her to the Litchfield Summer Jazz Program under the tutelage of masters such as Claudio Roditti and Dave Stryker and the Neighborhood Music School Summer Program with Wayne Escoffrey. Michaela completed her High School Studies at ACES Education Center for the Arts in New Haven. Michaela just completed her third semester at The New School in New York with a 3.68 GPA. 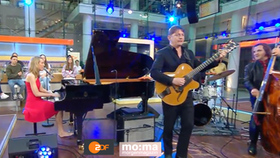 Michaela was selected as the lead guitarist for the 2012 and 2013 Connecticut Regional Jazz Festival, 2013 Connecticut All State Jazz Festival and the 2013 National Honor Jazz Ensemble. Michaela was also a member of the Shoreline Community Big Band. Lillian Tran is currently an intern here at Crossover Media. She's currently a junior at NYU studying to obtain a B.S. in Media, Culture, & Communications, as well as seeking minors in Public Health and the Business of Entertainment. Lillian's passion in music stems from her experience playing piano, violin, and guitar when she was younger. Her music interests stem from a variety genres, ranging from Hip Hop to Jazz. Additionally, her prior experience in PR and music event production, along with volunteering at various music festivals, has been a large influence in her career ambitions that have lead her to Crossover. Darryl Baker is currently interning here at Crossover Media. He is also a second semester senior finishing up his B.A. in Radio Productions and a minor in Drama at Hofstra University. While growing up, Darryl attempted to learn a couple of instruments, including the piano and the guitar. While instruments were not his strong suit, he grew up listening to the music of his parents, specifically RnB and Jazz. Music has always been a substantial influence in his life and it plays a huge role in the entertainment industry and in day to day life. He is very glad and enthusiastic to be working with the Crossover Media Team. Alexandra (Lexi) Kornspan is currently interning here at Crossover Media. She's currently a senior at University of Massachusetts Amherst majoring in communication, also seeking minors in media literacy and public service/civic engagement. Growing up, she took private lessons in piano, flute, and vocal instruction. She achieved the highest level of completion in the New York State School Music Association, and won various top awards as a competing vocalist. She doesn't have a favorite music genre, as she likes almost all genres and is willing to give almost anything a listen. Her previous experience in PR and marketing couple well with her passion for music, and lead her to interning here at Crossover Media. Zachary Swanson began studying the double bass at the age of 6 in his home state of Massachusetts. 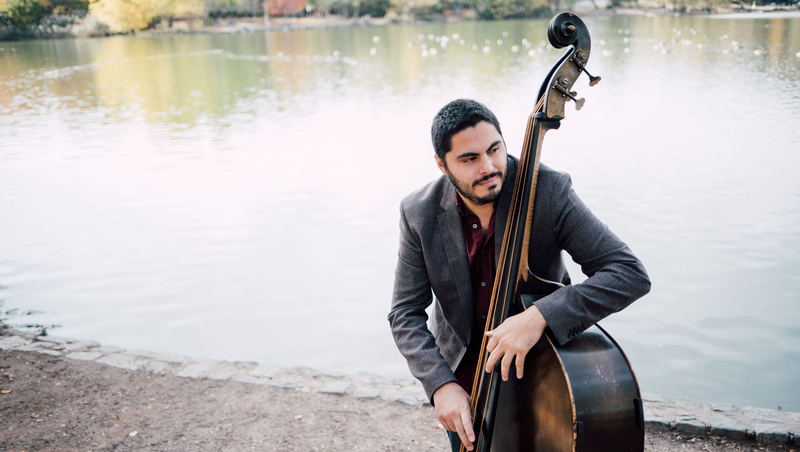 Using gut strings and a personalized technique, Zachary has developed a conception of the double bass that heightens the integrity of various musical environments. He can be found playing around New York City and beyond in a variety of styles, ranging from adventurous improvised music to backing singer-songwriters. Zachary is a graduate of the Peabody Institute of Music at Johns Hopkins University and currently resides in Brooklyn, NY where he has made his home since 2012.